One of the most popular smartphones under ASUS‘s banner is the ZenFone Max which was launched in January this year however it had one big flaw: battery life. To be honest, it did exceed the expectations but there was still something missing there. With the new refreshed version, ASUS Zenfone Max 2016, the battery stays the same but has been boosted to stay alive for longer hours with the massive 5,000 mAh! Apart from the battery, the other sector which makes this smartphone stand out is the price. This massive battery device carries a price tag of only BDT 16,590! The phone has received a huge upgrade in other key aspects such as RAM, storage capacity and processor. It boasts an advanced 64-bit class 1.5GHz Qualcomm Snapdragon 615 Octa Core processor and has an inbuilt 32GB ROM with 3GB & a 2GB RAM version. 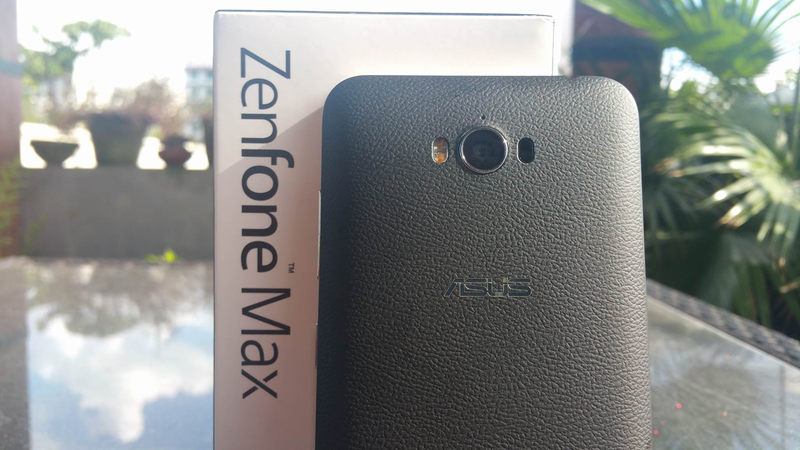 The Zenfone Max almost carries the same design language but has a new trademark chin with cirlces at the botton. Capacitive buttons are at the bottom but sadly it doesn’t light up. The front might be similar but it ends when we look at the rear. This time, the new Zenfone Max has a polycarbonate leather like texture all around with metallic finish at the sides. This certainly gives a firm grip for the hands to hold on. As it’s a phone with a 5.5 inch screen, there’s always a tendency that the mobile can just slip away but thanks to the new material at the rear, a firm grip can be ensured. The primary camera module is at the top which has a dual-tone LED flash placed left to the camera and a laser emitter on the other side. The Zenfone Max 2016 comes with an OTG cable which means it be used to charge other phones as well which means it can act as a powerbank at emergency times for other phones as well. So far, the phone is treating us quite well and do check out the video to see our impressions on the smartphone. If you have any sort of queries, please do comment below and also comment in our Youtube page. How about it’s camera comparing to sony xperia?